Moose Skowron was signed by the New York Yankees in 1950 as an amateur free agent, he played his first game for the Yankees on April 13, 1954. He played in five All-Star Games as a Yankee: 1957, 1958, 1959, 1960, and 1961. 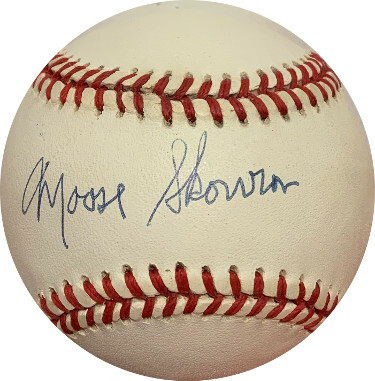 Moose Skowron has hand autographed this Official American League Baseball. JSA Hologram #CC09280 and Certificate of Authenticity. Minor toning on ball, as shown, sold as is, no returns.